Where: Classes are held at our training facility in Corfu (Pembroke), New York. See our contact page for address and map. Our building has professional grade foam flooring made specifically for agility. We also have a fenced outdoor area. When: All available class times are posted on the calendar page. Classes are typically weekday evenings. Cost: All levels of classes run for 6 weeks and cost $120, with each weekly class going about 50 minutes to an hour. How to sign up: Read below to choose your class, then go to the bottom of this page or to the Sign-Up page to find the next available day/time, click on the title and you will be taken to registration. Please be aware that for Level 2 classes and up you’ll need approval from our instructor, so if you are new to Clever Paws just give us a ring or shoot us an email and we’ll be glad to chat with you and/or set up an evaluation to determine which class is right for you and your dog. 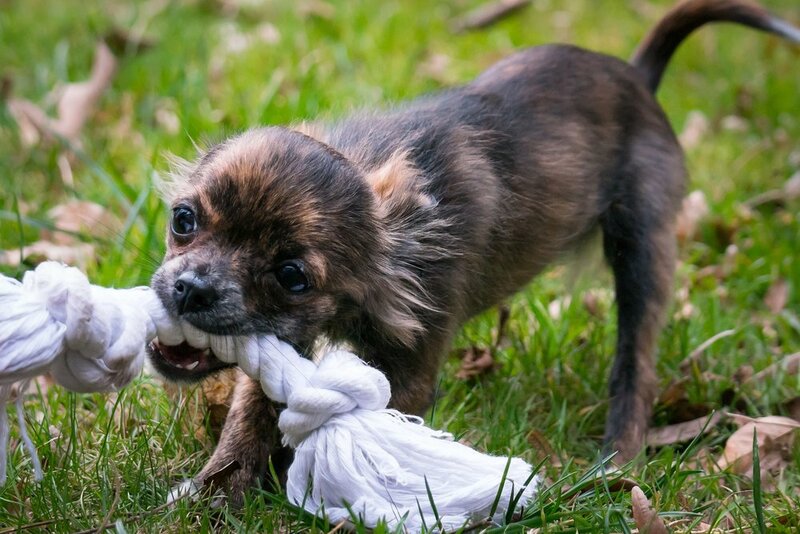 Learn how to motivate and reward your dog with toys! In this class we will introduce you and your dog to clicker training, shaping behavior, body awareness, impulse control, how to effectively reward with treats and toys, crate training, games and tricks that will lay the foundation for agility and a positive working relationship with your dog. 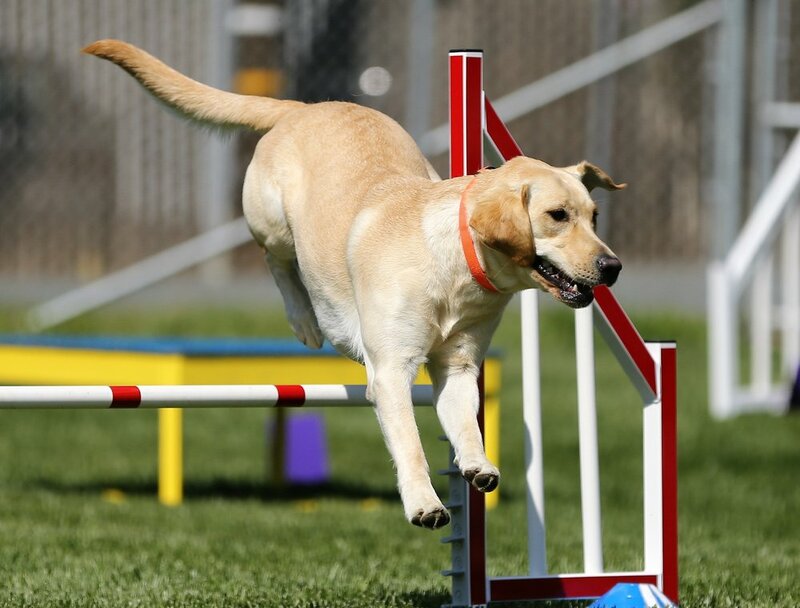 No obstacles will be taught at this level and the class is safe for ALL ages of puppies and dogs. No prerequisite classes required. Dogs must be at least 3 months old, up to date on rabies, distemper, and parvo. Class will mostly be on leash, but your dog must be well mannered around other dogs. If you are unsure, ask to schedule a free evaluation at our training facility. Gone is our prerequisite of the Basic Obedience class or a private lesson to get started learning agility. That's why we named the class Start Here! Limited to 4 student/dog teams so that you can get the personal attention and coaching you need to get started right!. Learn the building blocks of agility through fun games: get your dog to like and create noise and movement, increase body awareness, interact with more objects, follow your body language and focus on you. These are critical skills that you can also practice at home without any special equipment. You and your dog will also learn the tunnel and jump and the beginning of the "2 on 2 off" behavior for the contact obstacles. You will be prepared for the next steps and set up for long term success! Prerequisite: Start Here Agility Class - Level 1, Basic Obedience Class, or private lessons; and approval from our instructor. Your dog must be able to sit and/or down and stay reasonably well. Class will mostly be on leash, but your dog must be well mannered around other dogs. Dogs naturally love to jump! Contact obstacles like this dog walk are a fun challenge for dogs! You'll teach your dog all the remaining obstacles and start putting the secrets of independent obstacle performance to work! Our unique methods teach your dog to drive ahead of you and do the obstacles without you by their side to “help.” These skills will be critical when it comes to running agility courses later. Although this class is heavily focused on learning all the obstacles, you’ll also start learning basic handling maneuvers (which is just a fancy way of saying how to direct the dog from obstacle to obstacle around the course). Prerequisite: Foundations and Focus - Level 2 Class or private lessons, and approval from our instructor. Your dog must be able to work off leash around other dogs. Now that you and your dog have a good foundation, it’s time to learn more handling maneuvers, speed and focus, and practice all the obstacles and start sequencing them together. You’ll really begin to see how all the work you’ve done so far leads to truly independent obstacle performance and - making your job learning the handling easy! Prerequisite: Obstacles 101 and Handling Basics Class - Level 3 or private lessons, and approval from our instructor. Your dog must be able to work off leash around other dogs. This dog is performing the weave poles, one of the most difficult obstacles to teach - join our class to learn the easiest and quickest way to teach them to your dog!